Springtime to me is all about vibrant green colors. The awakening of the earth, bursting into celebration with bright, fresh hues. The same goes true for what’s in season in the garden. Foods full of green are the highlight of spring. Kale, lettuce, spinach, chard, asparagus, scallions (from last year that overwintered), chives, and peas are the highlights in my garden right now. They’re also foods that are packed with nutrients. It’s been unusually hot here in Buffalo. 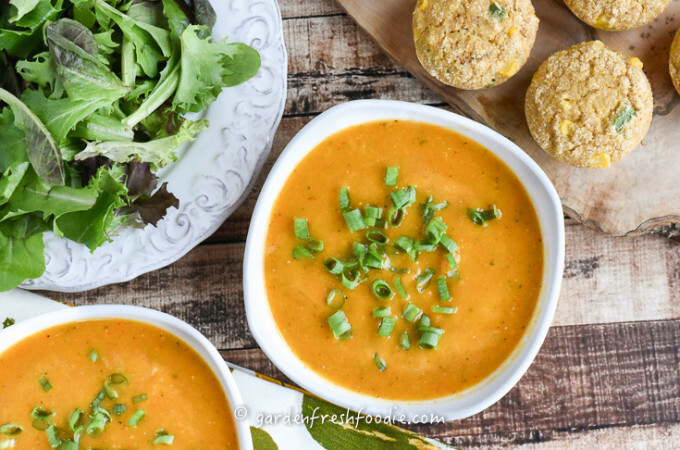 This soup is light and refreshing and can be served warm or cold. I had it as leftovers yesterday, and ate it cold. It was awesome! It cooks up in a flash, without making your house hot. Really, all that’s needed is just some simple sautéing. To create a creamy soup without any cream, like this one, you puree the soup. 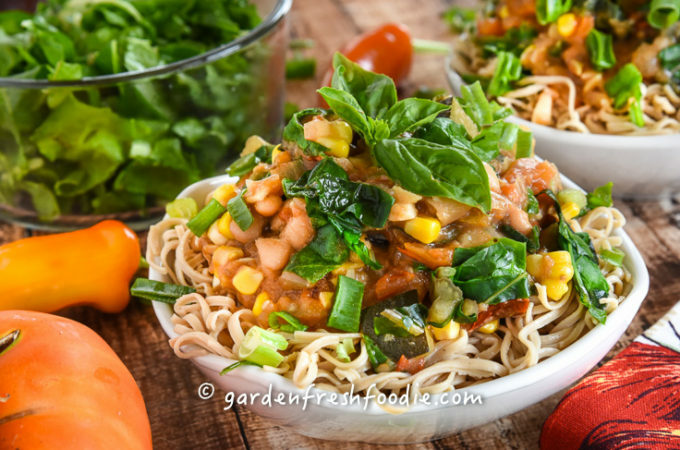 This creates a creamy texture from the veggies themselves. Peas are a legume. Like all legumes, they’re low glycemic (they don’t spike blood sugar), a great source of plant-based protein, iron, and fiber. Fresh peas have added benefits. Their vibrant colors retain their antioxidant and anti-inflammatory benefits more than their dried split counterparts. They’re great sources of phytonutrients and a good source of omega-3 fatty acids. They’re awesome sources of carotenoids (Vitamin A). Their high amounts of phytonutrients, anti-inflammatory, and antioxidant benefits help decrease your risk and severity of Type 2 Diabetes. These awesome properties also make them heart healthy, and reduce your risk of heart disease and gastric cancer. Go pee-I mean peas 🙂 For more on peas. 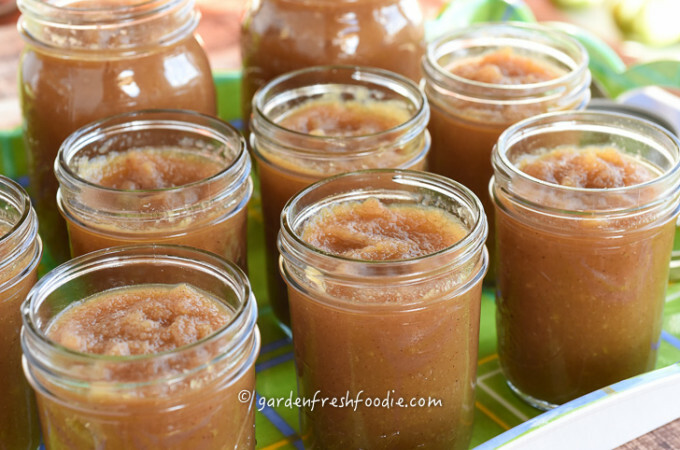 I made this using frozen organic peas because my fresh peas aren’t ready yet from the garden. 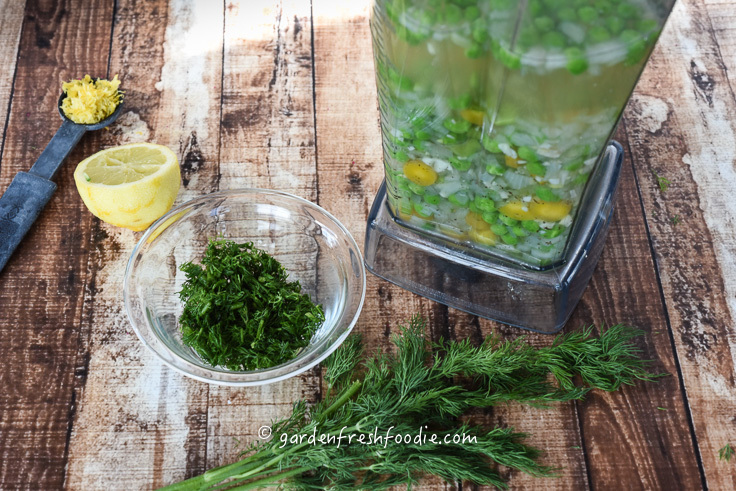 If you have fresh peas-use those! 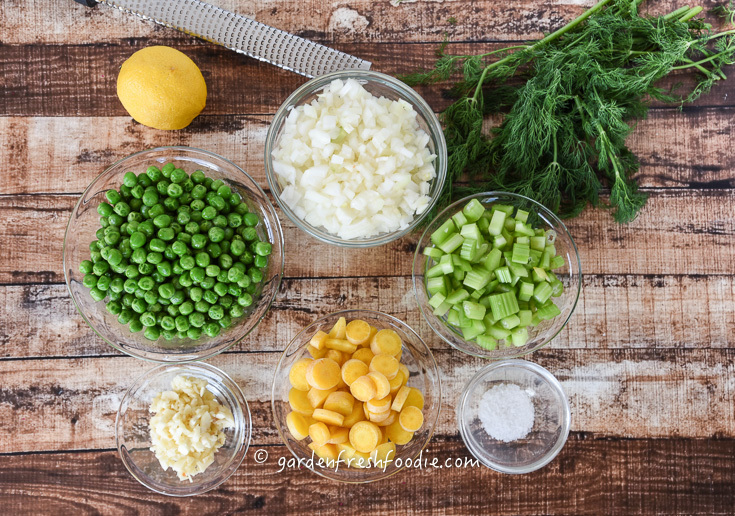 Be sure if using fresh, in the pod peas, that you blanch them and then add right at the end of the soup making process to retain the nutrients and colors. 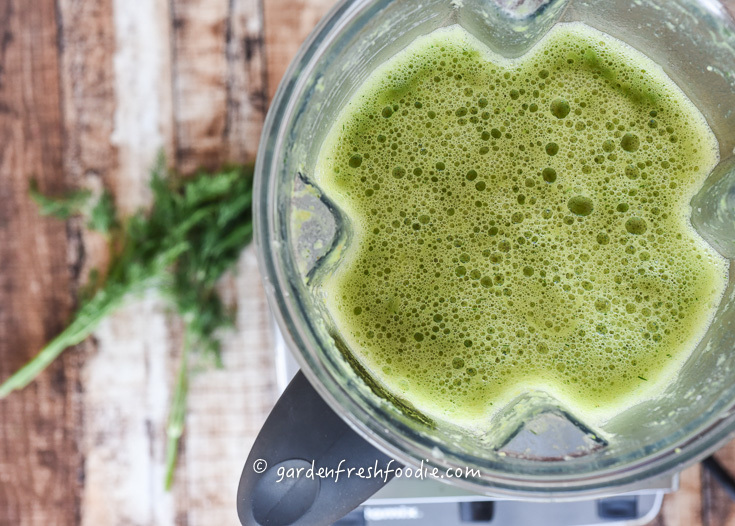 You’ll want to make sure you use a good blender like a Vitamix for this. My dill self-sows itself (everywhere!!! ), and so it’s already popping up all over the garden. Be sure to add the dill in as you puree. 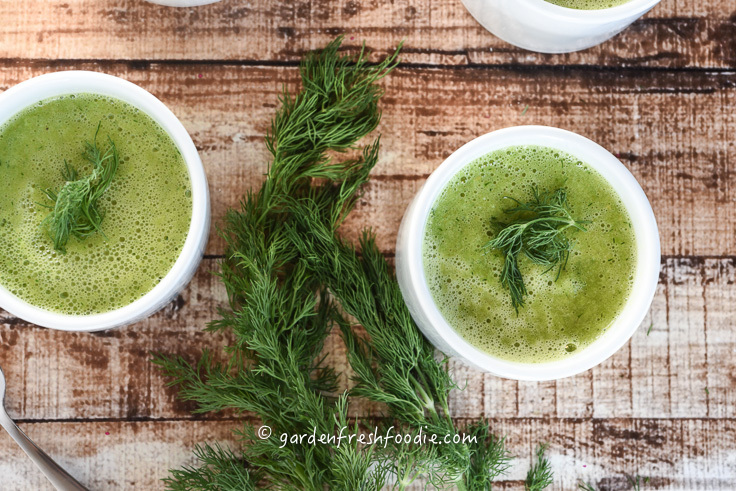 This helps you keep the freshness of the dill, both in terms of taste and color. Soups make great appetizers for parties. Served in small containers like these, they’re drinkable. 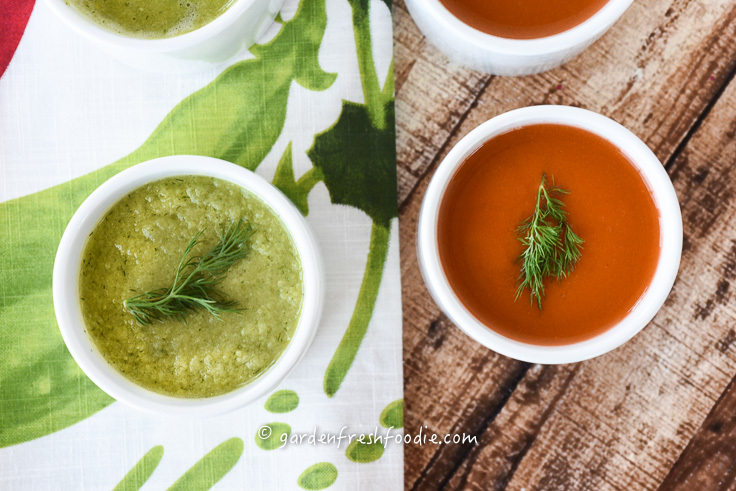 I also made a raw carrot and dill soup on the same day. Recipe forthcoming. Saute onions, garlic, celery, carrots, and salt in a hot pan with a little water to prevent sticking, about 10 minutes. As soon as these have softened, add water, and peas. If using fresh peas, blanch separately in boiling water for 1 minute and drain. 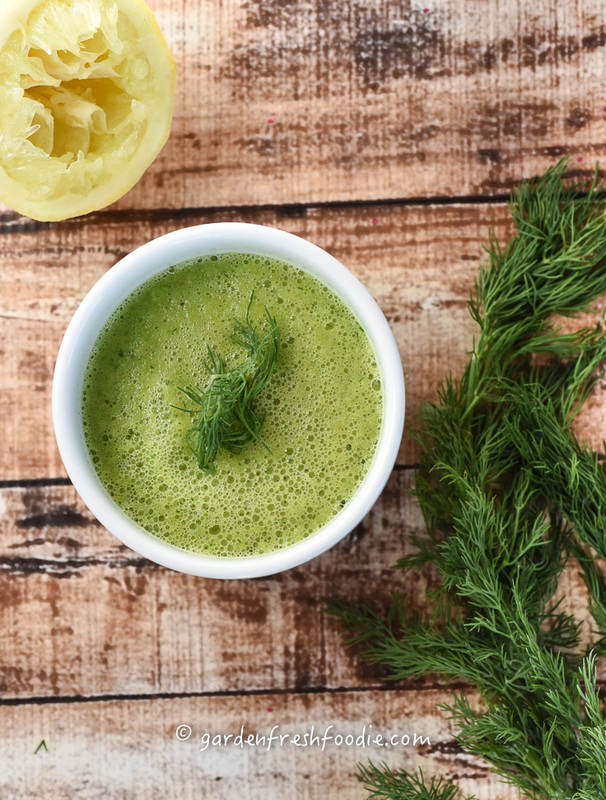 Pour into blender and add dill, lemon zest and juice, and some freshly ground pepper. Puree. Taste. If needed, add additional salt to taste. Serve cold or hot. Great in small sizes for appetizers. 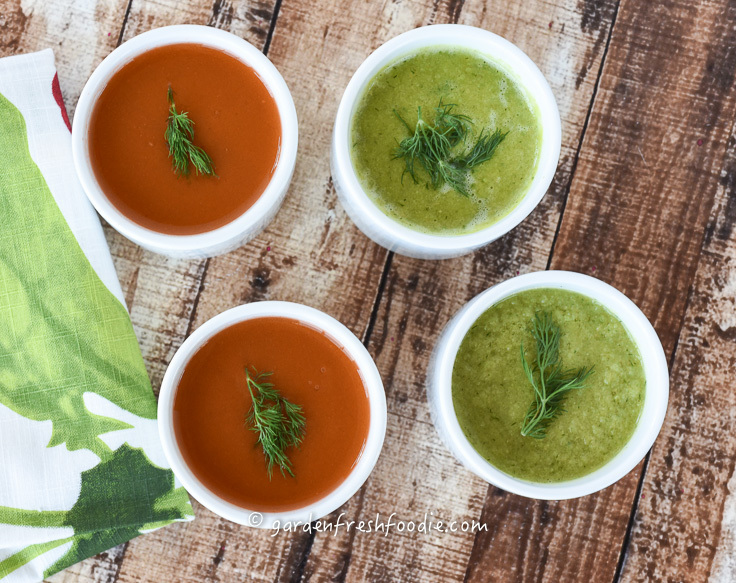 For contrast, this carrot soup with similar flavors of dill and lemon would be a perfect pairing. Recipe to come! Good source of potassium, 406 mg, regulates kidney, nervous function, as well as blood pressure levels. 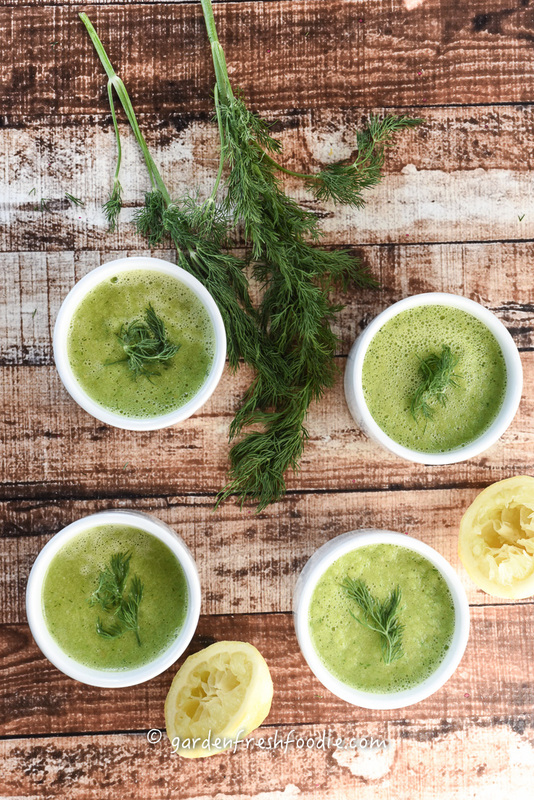 Spring Pea Soup with fresh dill and lemon. Saute onions, celery, carrots, and salt in a hot pan with a little water to prevent sticking, about 10 minutes. 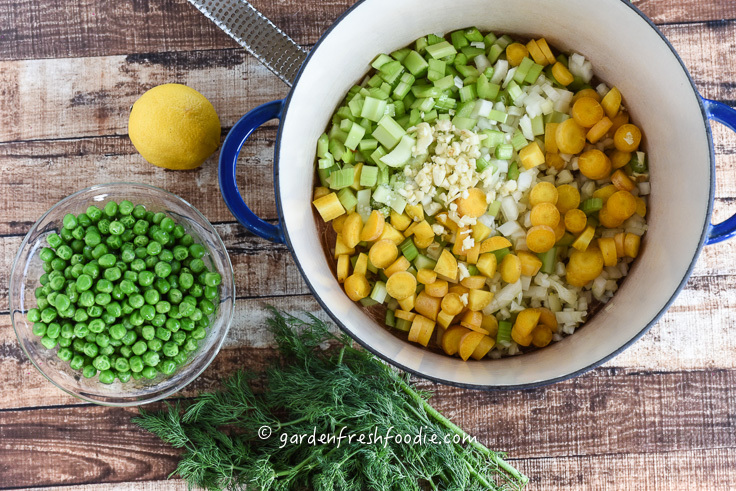 What a spring-time worthy soup! 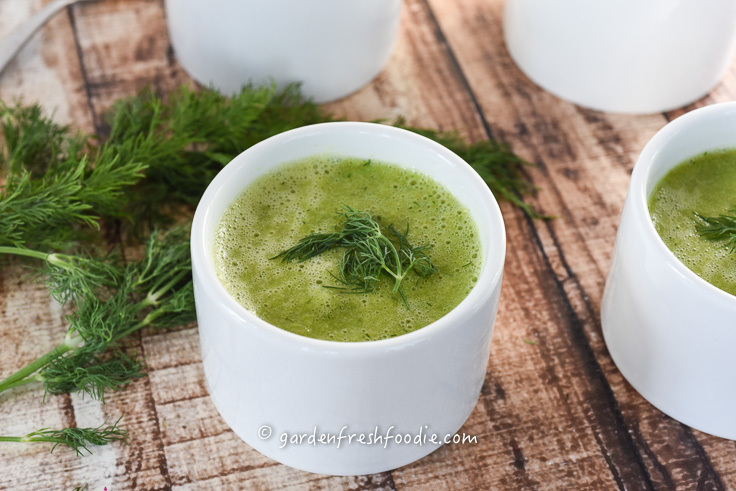 The combination of lemon, dill and peas I know is just divine so I can imagine this soup tastes just as delicious as it’s perfect appearance! Thanks so much Thalia! I hope you enjoy it!